Historical drama ‘Khoob Ladi Mardaani-Jhansi Ki Rani’ will revive the unknown saga of a commoner 'Manikarnika'. Mumbai: COLORS’ upcoming historical drama ‘Khoob Ladi Mardaani - Jhansi Ki Rani’ will revive the unknown saga of a commoner Manikarnika who evolved into Jhansi’s warrior queen, thus becoming an integral part of our country’s history. Known as the valorous queen, this show will not only explore Manikarnika as the warrior but will also shed light on the compassionate side of this courageous young girl who fought many battles both internally and externally to put Jhansi on the map of India. Playing this magnificent role will be the young and talented, Anushka Sen. Joining Anushka Sen will be Vijay Kashyap, the very well acclaimed veteran actor, who’s been a part of many notable films like Gandhi and some popular historical series. 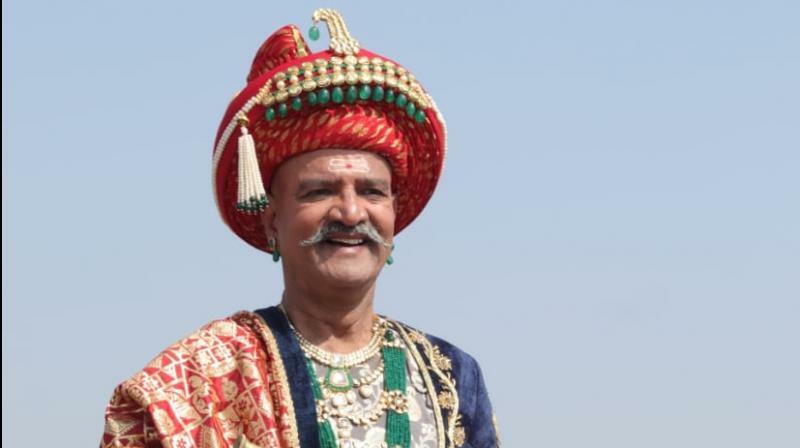 Vijay Kashyap will be seen playing the central character of Bajirao, a noble and revered patriot. In the show, Peshwa secretly supports the burgeoning underground movement against the Britishers. Known for his sincere approach, he was looked up to by many people. ■Did 'Manikarnika' writer Vijayendra Prasad egg on Kangana Ranaut?